I read this article and found it very interesting, thought it might be something for you. 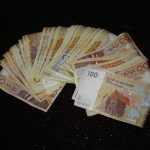 The article is called 15 Things to Know About the Currency of Morocco and is located at http://trip-n-travel.com/listicle/22137/. Before preparing for your visit to Morocco it is always a good idea to read up and inform yourself on essential travel knowledge. Here are some important things to bear in mind about money before you embark on your adventure to the fascinating destination of Morocc0. The currency used in Morocco is the dirham (dhs) or MAD. It is officially designated as a closed currency which means it can only be traded within the country of Morocco. The rate is set by the government of Morocco, and as with all currencies fluctuates, however, in general the currency tends to fall against Western currencies. The dirham is divided into centimes (100). There are coins of 10, 20 and 50 centimes. There are coins of 1, 5 and 10 dirhams. 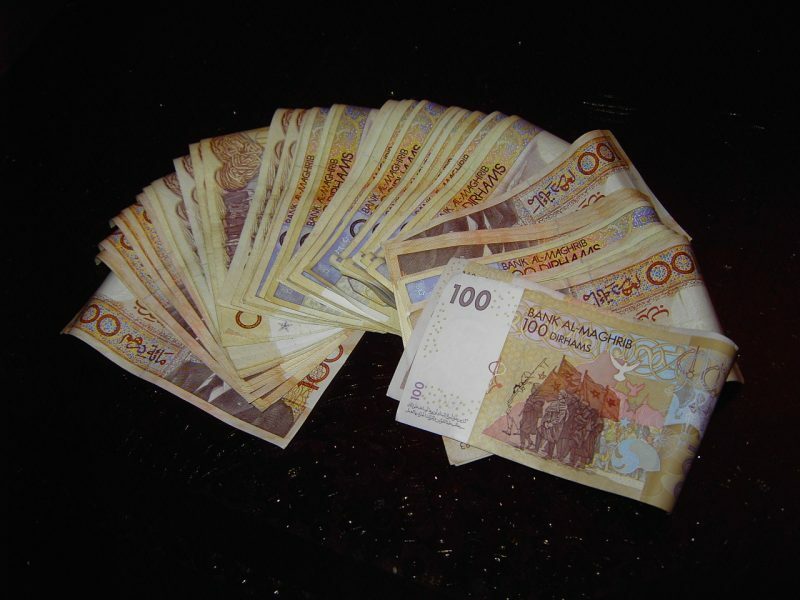 The bills consist of 20, 25, 50, 100 and 200 dirhams. You might sometimes hear people refer to centimes as francs or even pesetas (in former Spanish areas of the country). That can get confusing but if you ask for clarification on the price, people will be obliged to explain it in dirhams for you. You will be able to exchange currency in Morocco without too much hassle. There is always a Bureau de Change at the airports or ports and most hotels will be able to help you (especially larger ones). Most hotels will use the same rate of exchange as the banks. 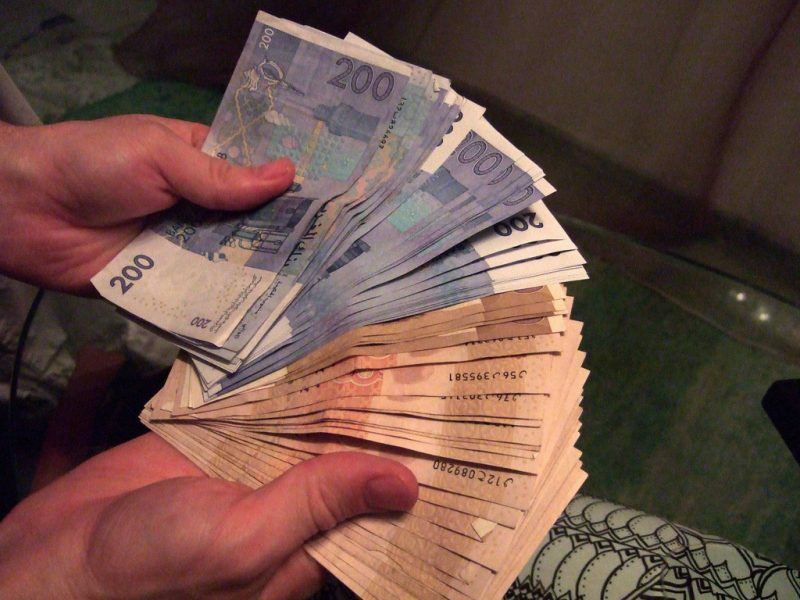 It will not be a problem to exchange US dollars, British pounds or Euros. You may have some trouble with Australian and New Zealand notes and pounds from Scotland, Gibralter or Northern Ireland. Don’t be tempted to leave small tips in coins from your home country. It will be very difficult for the locals to use or exchange these in Morocco. Tips are generally expected from tourists. In cafes you should leave around 1 – 5 dh for service. In a restaurant leave 10 -15% of the bill. Tips are discretionary in taxis and with porters, but it is always nice to show gratitude for services provided, however small. 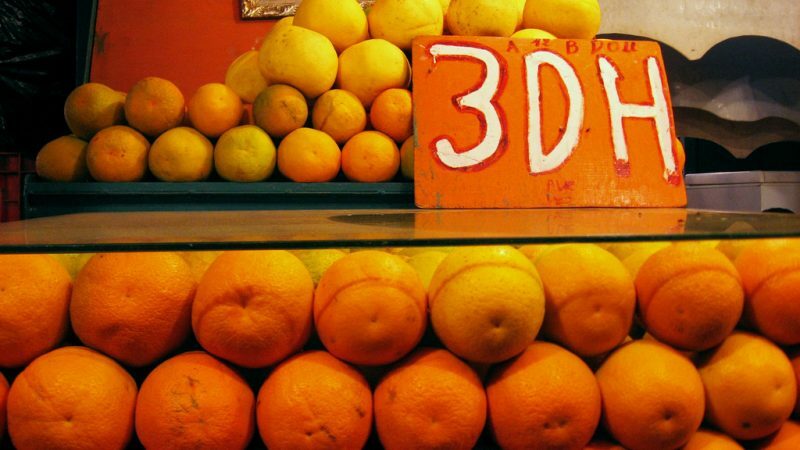 Most upmarket shops, restaurants, and markets in Morocco will accept payment by debit cards. Please note, however, that Visa and Mastercard are much more popular and widely accepted than American Express. Be aware that any small purchases done using a debit card might incur a service fee also to cover the cost of transaction for the seller. It’s really a good idea to let your bank know you will be traveling and using your card abroad to avoid any kind of security block placed upon your card. Always remember to memorize your pin number as signatures are much less commonly used nowadays. It’s best to leave your travelers checks at home. If you do prefer to travel with this form of money, be aware that it might be difficult to use them and there will certainly be a higher fee. Travelers checks used to be a safe way of traveling with money but in recent years fewer hotels and banks cash them, and if they do, they will charge a fee per check. ATM’s can be found in Morocco, however, be aware that they are renown for swallowing cards and breaking down fairly frequently. They also only tend to dispense 100 – 200 dirham notes, making it hard to get small coins for small purchases and tipping. You should always check that your bank will allow you to withdraw money from a foreign ATM and be aware of any limits on that. The central bank of Morocco is the Bank – Al- Maghrib. Most banks will help you in exchanging money and with credit card transactions, of course, bigger cities will have more choice. Banking hours are generally as follows: Monday – Thursday 8.15am – 11.30 am an 2.15pm – 4.30 pm. Friday 8.15 am – 11.15 – am and 2.45 pm – 4.45 pm. During summer and religious festivals, of course, banking hours will change. It ‘s a good idea to arrive in Morocco with cash for about two days, just in case you are unable to get to a bank or exchange money. As in any place you visit in the world, it’s prudent to be aware and cautious about how you carry your money around with you. In a country where there is a significant percentage of the population not earning a high wage, tourists are always a target for conmen and thieves. Be vigilant when withdrawing money from ATM’s. When wandering the streets, keep your money in a money belt or pouch, hidden from view. Try not to publicly show how much money you have on your person. Be aware of common scams like being distracted by one person as they other attempts to rob you. Use a safe in your hotel. In the unlikely event of losing your money in some unfortunate circumstance, having access to some source of emergency funds could prove invaluable. We would recommend either an emergency credit card or perhaps you could rely on family or friends to wire you money. There are two reliable companies you could use in an emergency to wire money: MoneyGram or Western Union. It’s important to prepare your travel budget ahead of your trip to avoid any panic when you realize you have run out of funds! In Morocco you can eat and travel really rather cheaply. If you are really traveling on a budget, you could easily eat out every day for anywhere between 4 – 10 dh (this would get you snacks, soup or a sandwich). For a more mid-range budget, expect to pay anywhere between 70 – 150 dh for a main course in a restaurant. Hotels are available in the budget, mid and top ends in most places in Morocco. You could find a double bedroom in a budget hotel for about 50 dh (with a shared bathroom, possibly with cold water). Sometimes in the more low-range hotels in Morocco, you will need to pay extra for the luxury of hot water. If your budget allows, you can stay in a hotel for anywhere between 400 -800 dh. Of course if you have pre-arranged a tour or all-inclusive trip, the hotel costs will be included in the overall price you have agreed to pay. If you are traveling independently in Morocco, you will discover that public transport is on the whole, pretty good. The rail network is efficient and there are a variety of buses or collective taxis as other options. Generally, you should consider paying the following for transport. Buses can be around 60 Dh for a four- hour journey. Car rental is quite an expensive option, especially if you rent one once you have arrived. It is usually better to rent in advance. Hitching is not that common in Morocco, and not advised for women traveling alone. You may have luck asking around with other tourists for a ride. Knowing how to haggle in Morocco is basically an essential part of life. 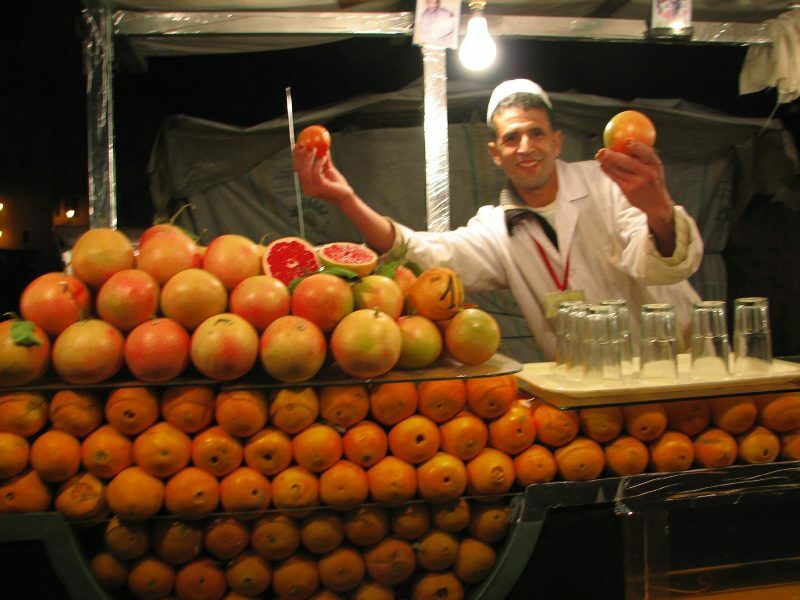 You will be expected to negotiate on everything you consider buying at market stalls in the souks. It’s important to know the procedure for haggling and the etiquette! You should never start to bargain with the seller unless you are serious about buying the product. You should begin by offering about a half or a third of what the seller offers. In Morocco, it is a social interaction and you will be offered mint tea often during the process! Go with the local customs and above all enjoy the process! This is not a huge problem in Morocco, but as with anywhere, there is a certain minority that exists. Some of the most commonly used scams involve men who attempt to lure you into certain craft shops, as they will earn commission from the sale. Others might even take you into the Medinas, and then charge you a fee to take you out again and back to your hotel. When taking trains beware for those posing as porters or staff, they may try to charge a large fee for helping with your baggage. 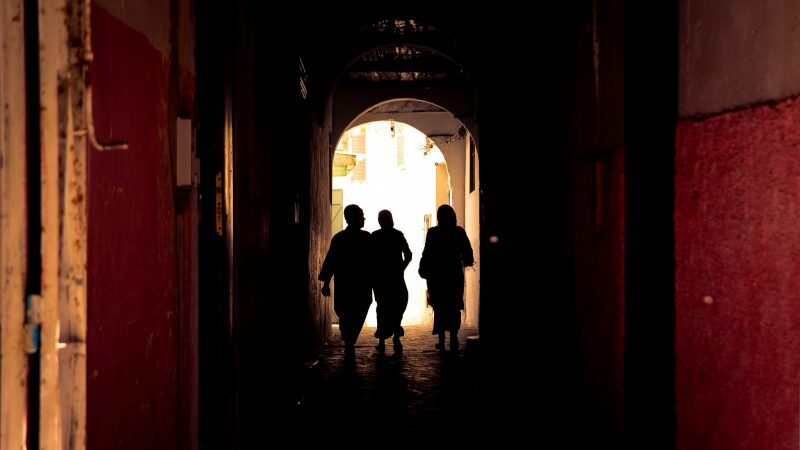 Pickpocketing is common, especially in Tangier and Marrakesh. As always, be aware of the money you keep about your person.